Prima Ballerina Darcey Bussell takes you on a captivating journey to a faraway land of ballet and magic, the wonderful world of Enchantia! 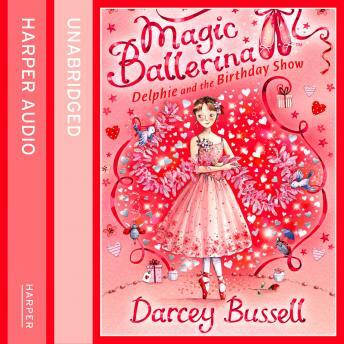 The sixth of sparkly new series for all young girls who dream of being a ballerina, or simply love to dance! Delphie's magic red shoes are suddenly feeling too tight, and she really doesn't want to give them up! But before she has time to worry, her friends in Enchantia need her help. King Rat is trying to spoil the Queen's birthday show; can Delphie help undo his mischief?